Located just 60 miles north of San Diego and 90 miles southeast of Los Angeles, Temecula is the perfect destination for a romantic weekend getaway or last minute vacation with friends and family. Temecula Valley Wine Country is home to award winning wineries, breathtaking mountain views reaching 11,000 feet high, and a picturesque setting for hot air ballooning, horseback riding and other outdoor activities. 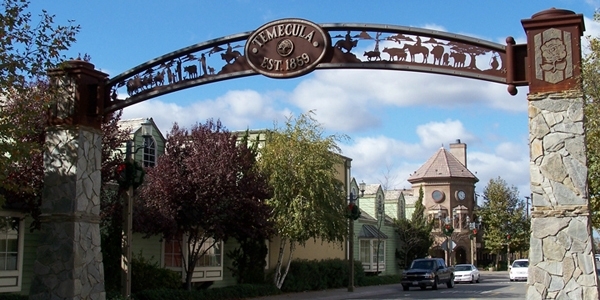 Temecula is also known for its historic Old Town District, home to hundreds of antique dealers and shops, unique restaurants, and seasonal art events and festivals. For a Glam, Affordable, and Luxurious take on Temecula, here are my GAL Travel recommendations for your next trip! 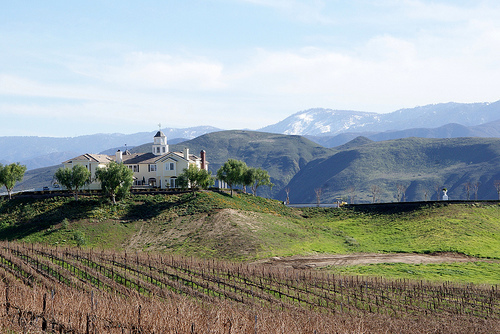 Visiting Temecula Valley Wine Country is an experience for the senses. Plan to take in the incredible views while tasting world class wines, paired with delectable fare, all while listening to the soothing natural sounds of the landscape. Start your wine tasting tour at Thornton Winery, famous for their sparkling wine champagne. Enjoy a tasting flight ($10-$17) in the Champagne Lounge, while snacking on wine friendly foods – the Warm Brie En Croute ($16) is sweet, savory and a definite must try! Next, travel up the road to Ponte Winery for an incredible lunch at the Smokehouse Restaurant. Hearty wine country fare paired with fanciful blends of wine, served open air amongst the vineyards make for a dining experience that cannot be beat. Wine flights and portions are generous so don’t be afraid to order a few plates and share between your group. The Pulled Pork Wrap ($14) is a signature dish; tender, smoked pulled pork is wrapped in fluffy stone baked flat bread and served with the chef’s daily salad – simply delicious! Finish off your day by enjoying the spectacular views of the Temecula Valley with a glass of wine at Leonesse Cellars. Set atop the rolling hills of the valley and overlooking the vineyard’s impressive acreage, Leonesse is one of my favorite California winery experiences. A knowledgeable and friendly staff, vast grounds, and some of the best wine in Temecula, including the renowned Cinsaut Dessert Wine ($49/bottle), are just a few of the reasons why Leonesse is a must visit GAL find! Temecula is also the ideal destination for a family vacation! Summerfest 2010 includes a full line up of activities that will be fun for all ages. This weekend (June 25-27), two art festivals take over Old Town Temecula; the Ralph Love Plein Air Festival and the Street Painting Festival. Over 100 muralists and visual artists will come together to create giant pastel murals on the streets and sidewalks of Old Town. Families, children, and beginners can also join the fun in the family section, where more than 500 smaller squares are blocked out for visitors to paint with pastels on the asphalt canvas. The lively sounds of world music will provide the soundtrack for a festive weekend! On the 4th of July, the city of Temecula hosts its annual Extravaganza, featuring the 18th annual Star Spangled 4th of July Parade, live music, food vendors, and a fun zone for kids! And on Thursday nights throughout the Summer, Temecula hosts the Summer Sunsets Concert Series at the Temecula Amphitheater. Concerts begin at 7pm and feature all types of music, from dance, swing, and classic rock to country and blues. To top it all off, admission to all events, festivals and concerts are FREE! For information on all events, click here. When it comes to lodging in Temecula, you can choose from intimate B&B’s and Wine Resorts, to motels, hotels, and sprawling casinos. However, if you plan to indulge in wine tasting and the fun of Old Town, I would recommend one of the many accommodations on Rancho California Road or Jefferson Avenue. These are all within 5 minutes of the most popular attractions and are quite affordable. The newest of the hotels in the area is the SpringHill Suites by Marriott. This location is clean, modern, and spacious, with all suites featuring sofa beds, a large desk, a pantry area with refrigerator and microwave, stylish fixtures, and free high speed internet. 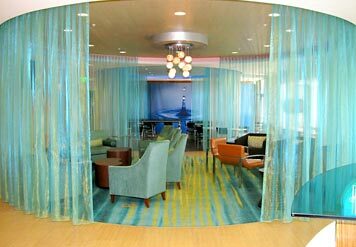 The property also has an indoor and outdoor pool, a fitness center, and a complimentary continental breakfast. Rates for this hotel range from $120 to $170/night, depending on the time of year. 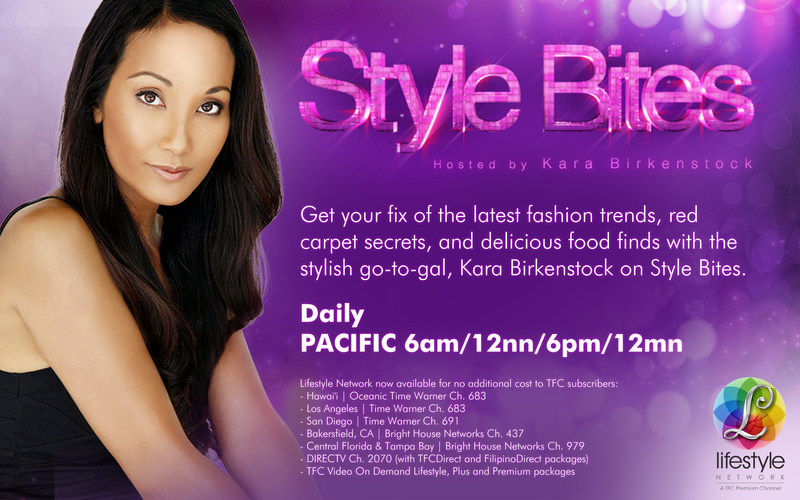 Other popular lodging options are South Coast Winery Resort & Spa, Pechanga Resort & Casino and the Embassy Suites Hotel.